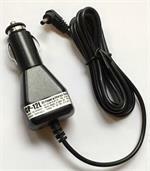 WC-173: Wall Charger for the BP-173 style Ni-MH battery packs made by Batteries America. Plugs into wall outlet (110-120VAC @ 60Hz), and the other end plugs directly into a charging jack on the side of the battery pack (polarity center POSITIVE +). Output of the WC-173 is approximately 120mA/hour. Typical charging time range is 8 - 16 hours, depending on battery capacity. IN STOCK. BP-170L: 6 x AA Battery Case for ICOM IC-W32, IC-W31, IC-T7, IC-Z1A, IC-T22, etc. Replaces BP-170. Holds 6 x AA cells for high-watt TX capability. Exclusive design by BATTERIES AMERICA ! 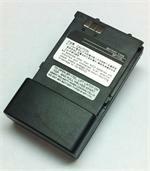 BP-173 : 9.6 volt 850mAh rechargeable Ni-MH battery pack for ICOM radios (such as IC-T7A, W32A, Z1A, T7H, T22A, T42A, etc). Replaces original BP-173. 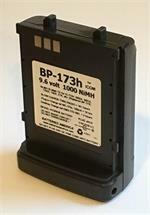 BP-173h: 9.6volt 1000mAh long-life rechargeable Ni-MH Hi-watt battery for ICOM HTs. Replaces ICOM BP-173. Recharges with your original wall TX charger (through the HT), OR in a desktop smart charger such as the EMS-173-180. 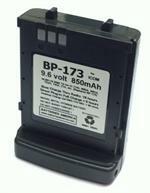 BP-173xe: 9.6 volt 800mAh rechargeable battery for ICOM radios. Arrives to you PRE-CHARGED & READY TO USE. Retains its charge when not in use! Fits IC-T7A, IC-T7H, IC-W32A, IC-W31A, IC-Z1A, IC-T22A, IC-T42A, etc (worldwide versions). 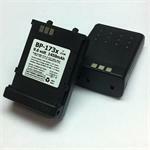 BP-173x: 9.6 volt 1450mAh long-life high-watt battery for ICOM radios such as IC-T7A/E, IC-W32A/E, IC-T22A, IC-Z1A, etc. Replaces original BP-173. Recharges with stock chargers, or with WC-173x, or EMS-173-180.